Apache is an open source server software that tells your server how to deal with certain file extensions. Apache is preset to manage CGI scripts and server parsed files. The file extensions that Apache handles include .cgi, ,shtml, .perl and etc. You can configure Apache to handle a different type of extension by adding a handler and extension through cPanel. For instance, if you want the server to treat .sample as .shtml, you have to type server-parsed under Handler and .sample under Extension (s). 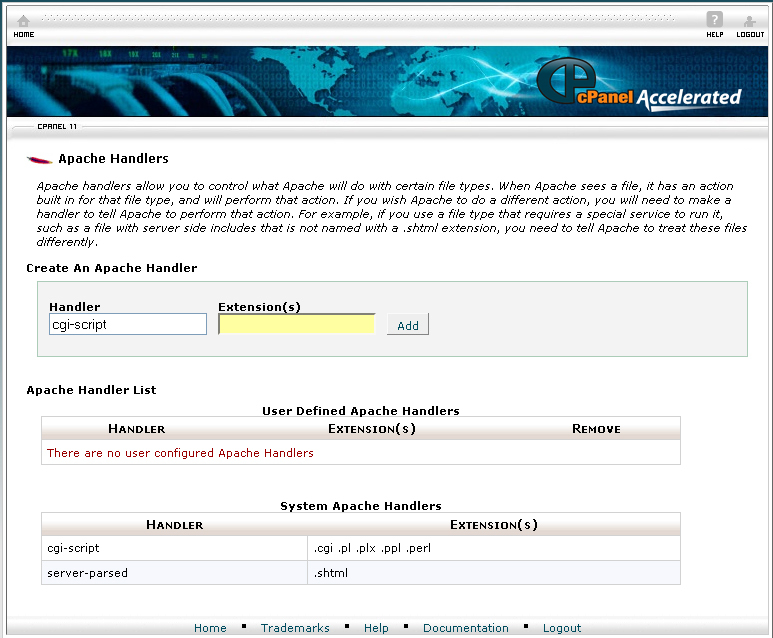 On the homepage of your cPanel, click Apache Handler under Advance. Enter the file type in the Handler textbox. Enter the extension for the file type in the Extension (s) textbox. You have successfully added the Apache Handler. When prompted for your confirmation to delete the handler, choose Yes. The Apache handler is now successfully deleted. 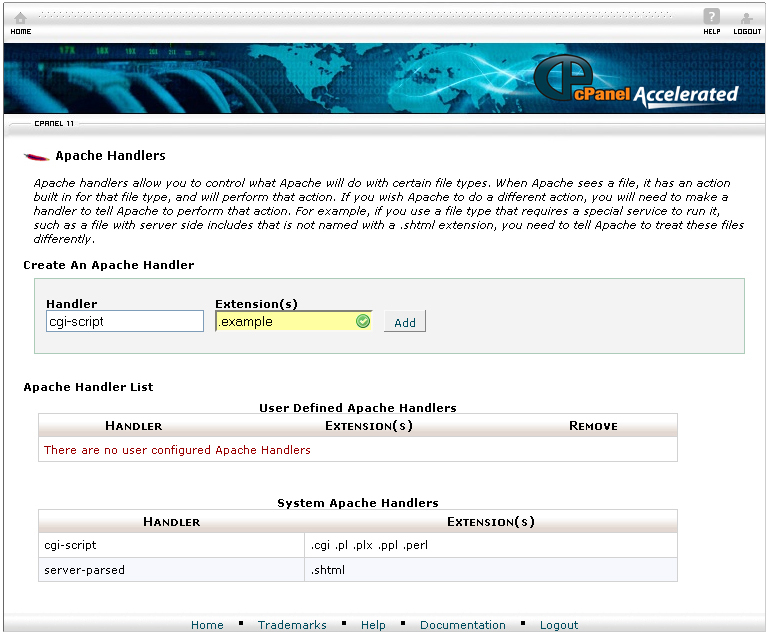 By following the instructions above, you will be able to install Apache handler through cPanel.